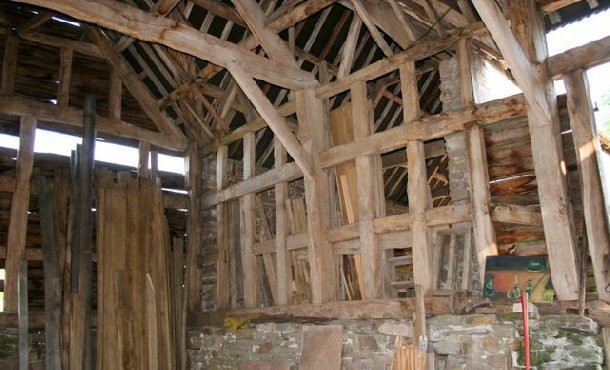 Old Pont Faen is a farmstead near the hamlet of Clifford just outside Hay-on-Wye. We spotted it while coming back from Hay and the owner was kind enough to allow me access. 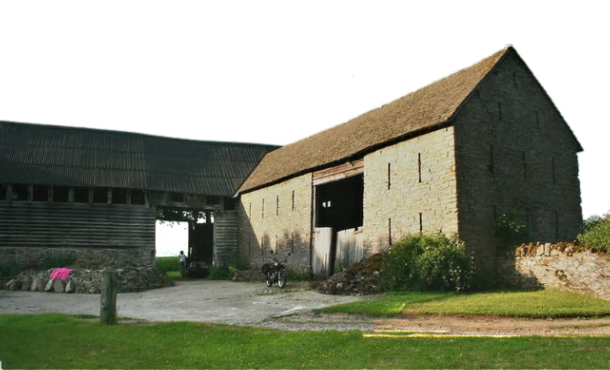 There are two barns from the seventeenth or eighteenth century; one is a timber framed barn on a high stone plinth and the other at right angles to it is stone built. 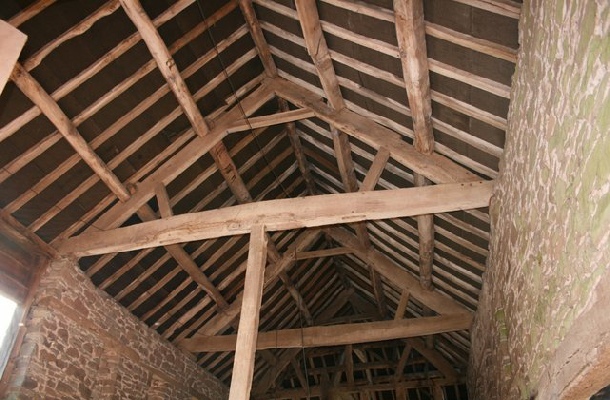 The owner was obviously very proud of them and has plans to restore them.